This brochure presents readers with a set of helpful guidelines for Orthodox marriage preparation, including such concepts as the meaning of crowning, and the purpose of the Betrothal Service. Holy Matrimony is a sacrament of the Orthodox Church in which a man and a woman agree before Christ, the priest, and the Church to be loyally united together for life. Christ blesses their marriage through their sacramental union in the Church. God’s grace is imparted through this ceremony to help the couple live together in His love, mutually fulfilling and perfecting each other. A sacrament is a mystery in which the heavenly and earthly realms are brought together by the Holy Spirit. We are joined in Holy Matrimony with Christ, as He is the Bridegroom and the Church is His Bride. 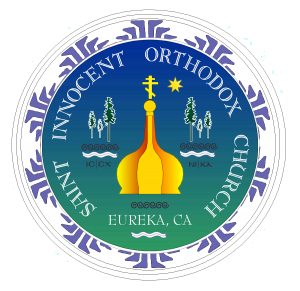 Note: both future spouses must be members in good standing of an Orthodox parish and meet the requirements set forth for the participation this sacrament to be married in the Church. Click here to download the brochure in full.